Submitted by Carlo on 2014-08-24 07:59. The base mod includes as custom content (hak files with accompanying scripts) the DMFI Tools for NWN2 and Heed's PC Tools, which are widely considered within the NWN2 community to be essential DM and player client enhancements. 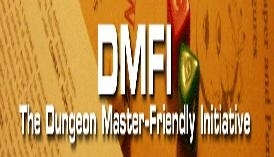 A few individual scripted DM tools are also included as well as some small but useful other community scripted content. The mod includes several easily selectable and extensible death, bleeding, respawn, and rest systems. All content is documented and appropriately credited in the included Builder's Guide. The mod is designed to be a foundation that can be adapted and modified as desired by builders. It is also designed to be accessible for novice builders, being extensively commented and with only one script necessary to edit to select the desired rulesets from the toolset. Furthermore, DMs (and players if you wish) can select among the rulesets in-game by using the included module control book item. The mod is structured so that builders who wish to take advantage of existing features may do so, while those who wish to make extensive additions and modifications should find it easy to change or remove included elements. Most builders will want to use the full version with Heed's PC Tools included, but for flexibility's sake a lite version without them is also included in the download package. Version 1.0 of the download package. Includes two base mod versions (full and lite), hak files, and Builder's Guide.